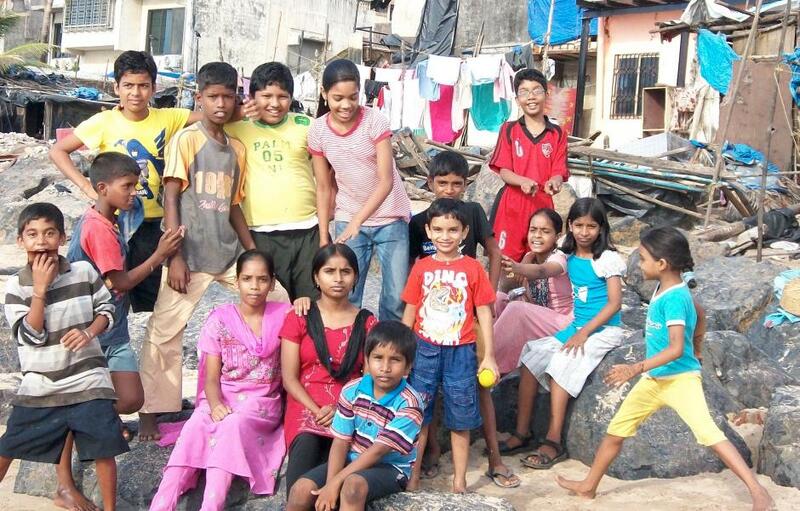 Youth living in slum communities (bastis) in Mumbai lack quality educational opportunities; not only are spaces limited in public middle and high schools, but government-run schools provide low-quality educations at all levels. • Youth from bastis lack adequate instruction in computers, English and writing—skills which are necessary to succeed in the highly competitive job market. • Severe lack of space and organized activities leaves little opportunity for young people to interact constructively in the community, and to develop and build skills. • Increasing communal tension along linguistic as well as ethnic and religious lines in Mumbai restricts the movement of young people, as well as their experiences and interactions with members of other communities. Vacha Charitable Trust was founded in 1987 by Sonal Shukla, a researcher and leader in the women’s movement in India, as a library and resource center for women. In 1995 Vacha began working with students from poor neighborhoods and now focuses on the particular needs of teenagers, especially girls. In addition to its strong resource center that is open to all, Vacha produces curricula and audio visuals on women’s issues and girls’ education, trains other NGOs in health, gender awareness and other topics related to youth and women, and undertakes research and advocacy to promote girls’ education. Vacha’s Tejasvi program provides educational enrichment through workshops, fairs, outings, and other events to poor youth who would not otherwise have a chance to learn English, how to use a computer, get health information and develop other skills that will prepare them for a better future. Vacha has a strong understanding of the multiple factors impacting the youth with which it works. In crowded communities where competition for resources is fierce, many youth are vulnerable to being drawn into particular xenophobic social institutions that scapegoat those of different language, religion or regional origin. Vacha uses various means to address social stigmas and provides beneficiaries with effective tools to navigate their surroundings. Where is VACHA Charitable Trust? You can support our work with VACHA Charitable Trust and our other grantee partners.